Sierra Nevada’s Dream Chaser spacecraft, which would take off on top of a United Launch Alliance Atlas 5 rocket and land on a runway like the space shuttle, is not as far along in development as the competing CST-100 and Crew Dragon capsules proposed by Boeing and SpaceX, according to a source selection statement signed by Bill Gerstenmaier, head of NASA’s human exploration and operations directorate. “A winged spacecraft is a more complex design and thus entails more developmental and certification challenges, and therefore may have more technical and schedule risk than expected,” Gerstenmaier wrote in the selection statement. NASA released the document late Friday outlining the rationale for its selection of Boeing and SpaceX in a competitive procurement to develop and build spacecraft to ferry astronauts between Earth and the space station in low Earth orbit. Read the full selection statement. 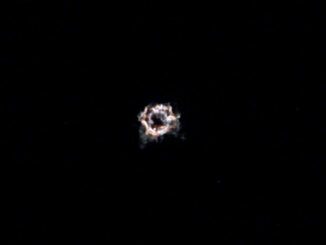 The space agency announced the Boeing and SpaceX contracts on Sept. 16, but officials initially withheld the reasoning for the agency’s decision over concerns about the release of information considered proprietary by each company. A review by the Government Accountability Office sparked by a protest of the Boeing and SpaceX deals by Sierra Nevada, which was shut out of a contract, further delayed the release of the source selection document, according to a blog post on NASA’s website. The statement describes why Boeing and SpaceX received contracts worth $6.8 billion to complete development of the CST-100 and Crew Dragon capsules. The Commercial Crew Transportation Capability, or CCtCap, contracts cover the design, testing and certification of the CST-100 and Crew Dragon spacecraft. 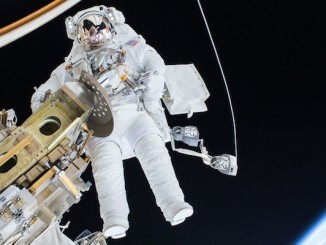 The contracts guarantee each company at least two full-up operational missions to rotate crews on the space station, with options for up to six flights through 2019. The spaceships will accommodate up to seven astronauts — or a smaller crew mixed with supplies — and stay attached to the space station for up to 210 days, serving as a lifeboat back to Earth in case of an emergency. The CST-100 capsule will launch on ULA’s Atlas 5 rocket, while the Crew Dragon vehicle will take off on SpaceX’s Falcon 9 booster. Both spaceships will launch from Cape Canaveral. If NASA exercises all the contract options, Boeing’s deal is worth up to $4.2 billion, and the value of SpaceX’s contract is $2.6 billion. Gerstenmaier acted as the selection authority and made the final decision on which companies won the CCtCap contracts after advice from an evaluation board. In the source selection statement, Gerstenmaier writes that SpaceX’s proposal had the best price and was rated “very good” on the mission suitability metric, with a high confidence level it could complete the work based on the company’s past performance on similar contracts. In its request for bids for the CCtCap contracts, NASA said price was the primary evaluation criteria for its decision. Two other factors, mission suitability and past performance, were to be combined to receive equal consideration by NASA when it decided which companies would win awards. SpaceX’s price in its Crew Dragon proposal was $1.75 billion, Boeing’s price was $3.01 billion and Sierra Nevada’s was $2.55 billion, according to a GAO statement released Jan. 5 that upheld NASA’s decision on the commercial crew contracts. 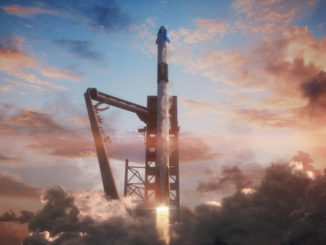 Those prices do not include the extras bundled into the final contract values, such as full-fledged crew rotation flights once the CST-100 and Crew Dragon vehicles are certified by NASA. He wrote that Boeing’s “excellent past performance” on other work, particularly in a separate contract that covered the initial steps in certifying the CST-100 crew capsule for human occupants, gave him higher confidence the company will be ready to launch astronauts by 2017. “I consider Boeing’s superior proposal, with regard to both its technical and management approach and its past performance, to be worth the additional price in comparison to the SNC proposal,” Gerstenmaier wrote. Sierra Nevada received the lowest technical evaluation rating — still “very good” — from NASA’s source evaluation board, according to the selection document. Gerstenmaier noted that Sierra Nevada has not decided on a final design for the Dream Chaser’s propulsion system, a major component of any spacecraft. He wrote that the space plane’s abort system also needed additional verification. 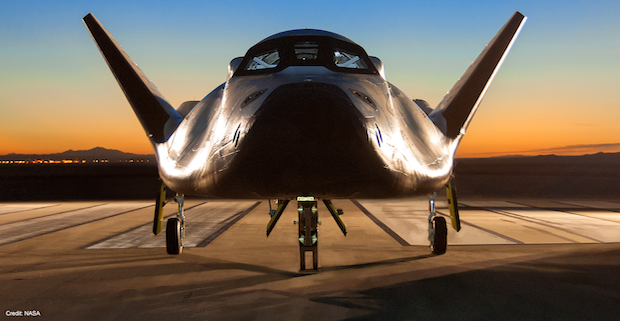 Sierra Nevada officials have touted the Dream Chaser’s runway landing capability as offering less stressful return ride for astronauts and research specimens. The CST-100 capsule will parachute to an airbag-cushioned touchdown on land, and the Crew Dragon spaceship will return to land under parachutes with the aid of soft-landing rocket thrusters. But Gerstenmaier and NASA advisors concluded the winged design of the Dream Chaser, which is based on the HL-20 lifting body studied by NASA’s Langley Research Center in the late 1980s and early 1990s, could pose more engineering challenges than the competing capsule concepts. Sierra Nevada officials say they will seek alternate funding to continue working on the Dream Chaser program.